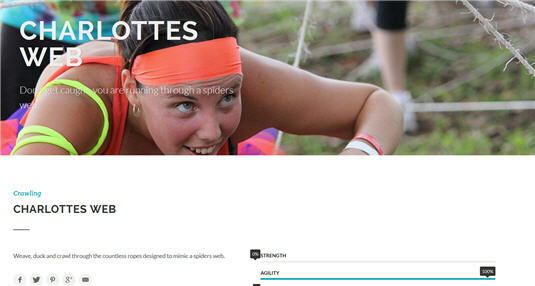 Today I thought I would show a few of the 20 obstacles that are listed on the site and predict a bit about it. 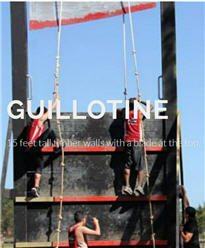 First, in the climbing category, The Guillotine: a 15 feet tall timber walls with a blade at the top. Second, in the Crawling category, Charlotte’s Web: Weave, duck and crawl through the countless ropes designed to mimic a spiders web. Really, is this any different than playing twister? Don’t get me wrong, I don’t excel at Twister, but those ropes look movable and are knives not allowed? Unless I slip a disc, I think I will be fine. 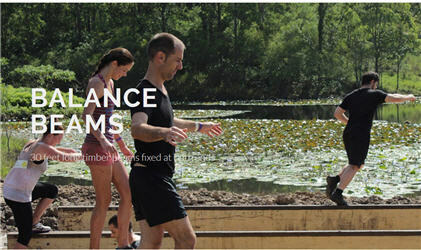 And now in the Balance category: The Balance Beams: 30 feet long timber beams fixed at both ends. Balance beams. if no one touches, breaths, shakes or tries to get on the beam at the same time as me, I’m golden. Oh, do I get a balance pole and who is in charge of cleaning that slippery mud off just before I get up there? These seem conquerable but are not the toughest on the course. I will go over a few more in a couple days. Best not to overwhelm myself with thinking about too many of them just now. Wilma, Today the “Mom’s” and I went and made several items at the local pottery painting studio. Some for donations for upcoming auctions for fundraisers and some for personal fun and use. I made you and I something for when we complete the race. I went to the dog park with a friend and walked for about an hour, did my planks, squats, upright rows and presses. Woohoo Betty, always sticking to the program plus a little more. Fun with the moms is always a good time. Yes iT is fun. Had several people stop by our table both at lunch and while painting saying that they wanted to sit with us as they could hear that we were having a great time together. You rocked that tow rope strapped between the trees at Dowdy a couple of years ago. You’ve got this!